« Jason Kelce 100% Healthy? Chip Kelly has not settled on a starting QB for the 2013 season, causing some frustration in the locker room. QB Michael Vick and WR DeSean Jackson are among the Eagles who have publicly voiced their desire for Chip Kelly to name a starting quarterback. While the locker room seems more curious than angry about the quarterback controversy, the position battle is the first time Kelly has been openly questioned by his players. How Kelly’s relationships with his players evolve over time could set the tone for the season and for Kelly’s tenure as head coach. Players are justified in knowing their starting quarterback. The winner of the job will immediately be thrust into a leadership role and become a face of the franchise. Not only that, but teams with no clear starting quarterback are doomed in the regular season. With very few exceptions, playoff caliber teams have one clear signal caller with command over his teammates and his organization. Teams without a clear-cut starting quarterback often show a lack of leadership, identity, and offensive firepower on the field. 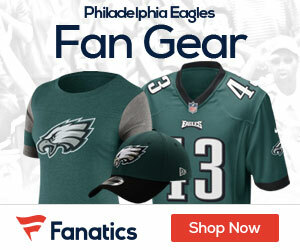 Face it, Eagles fans. This is Michael Vick’s team. The locker room has his back and he has won over the complete support and confidence of the offensive players. Although he and Foles both played poorly in 2012, Vick is still the superior quarterback in any system. Throw in Chip Kelly’s preference for mobile quarterbacks, and Vick is the clear choice. To be perfectly clear, Vick’s age and declining skill level will prevent him from being a long-term answer at the quarterback solution, but he gives the team the best chance to win in 2013. 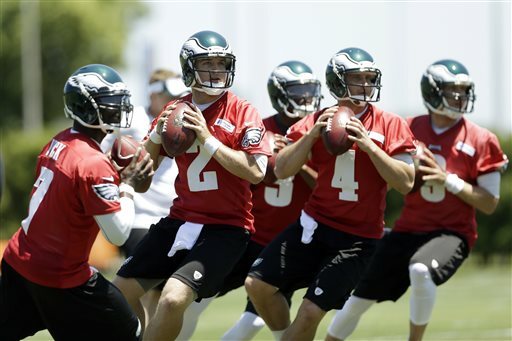 Though Vick should have already been declared the team’s starting quarterback, Chip Kelly isn’t totally in the wrong. In his defense, it’s only June. As long as he names a starter before training camp, the competition won’t divide the team or start to turn the players against him. More importantly, Chip Kelly simply does things differently. That’s the main reason the Eagles hired him. Kelly does not follow conventional wisdom, and the Eagles players and fans should give him a fair shot at doing things his way. 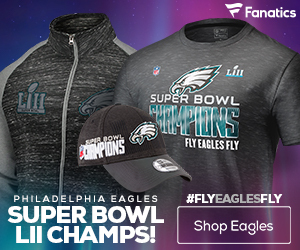 The Eagles made a conscious choice to hire a mad scientist of a coach, so they cannot be surprised or upset when the squad does not function like a typical NFL team. The players owe Kelly a bit more patience than they’ve shown to this point. Kelly is a big believer in competition and has never coached either Vick or Foles in person. He reserves the right to make Vick fight for his job and still has plenty of time to make a final and firm choice. While the drama surrounding the quarterback picture is intriguing, let’s evaluate Kelly’s decisions at the end of the season instead of second guessing them in June. Joe, as a long-time duck fan and now eagles fan, I can say you don’t know very much about Chip Kelly. He changed the athletic culture here in Eugene in more ways than one. The primadonna/crybaby/thug type athletes quickly disappeared, replaced by intelligent, well-spoken young men you wouldn’t mind your daughter dating. Given contracts and the NFL structure, it may take longer, but I expect the same thing to happen in Philly. You can expect Vick and Jackson to be leaving town before Chip does, and within a few years, you will have a great team. You’re right. I know very little about Chip Kelly. I have no idea how the team will respond to his leadership, and whether or not the team buys into what Kelly is selling will determine the success of the team. However, culture changes are much, much easier on the college level than the pros. In college, the players are younger and have much more on the line. In the pros, a coach does not control a player’s destiny and has much less influence over his players’ behavior. The point is that the jury is still out on Chip Kelly. Everything has gone smoothly to this point, but the QB controversy is the first potential bump in the road that fans should take note of.